What Is Kazakhstan Adoption Like? As large landlocked country between Russia and China, Kazakhstan officially became a country in 1991 with the dissolution of the Soviet Union. The history of intercountry adoption began shortly after and from 1999–2012, around 6,421 were adopted from Kazakhstan to the United States. Kazakhstan asked prospective adoptive parents to have at least sixteen years, but no more than forty-five years, of an age difference between prospective adoptive parents and the adoptive child. Married couples, as well as some single women, were allowed to adopt. Like many intercountry adoptions, prospective adoptive parents would begin with a home study, then submit a dossier to Kazakhstan’s Ministry of Education and Science. Once approved, families would be matched with a child and await word to travel. 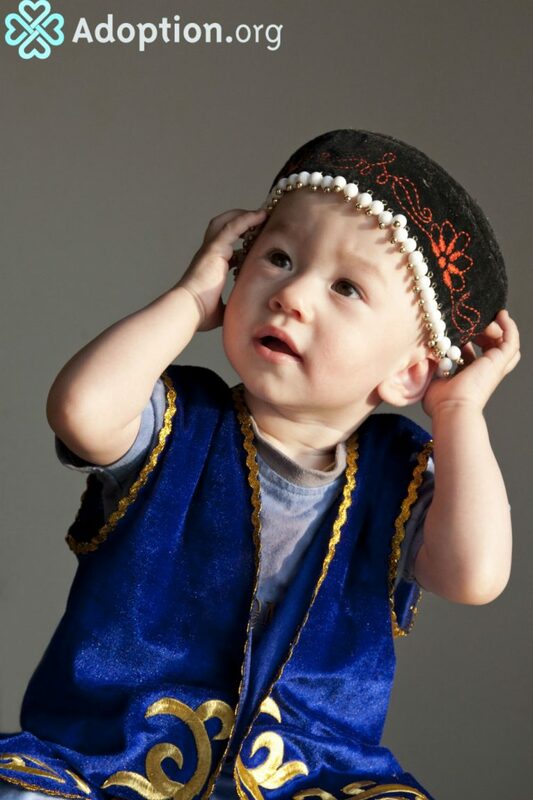 Families would then travel to the region of Kazakhstan where the child resided, and spend a minimum of four weeks with the child, developing bonding and attachment. At the end of the four weeks, the families would file the adoption in court, where both the prospective adoptive parents, the current guardians of the child, and the child would be present. For children 10 years or older, the court would ask the child if they consent to the adoption. The court would maintain a 15 day appeal period, and after that time the adoption would be finalized, then an adoption decree issued, and the new families could return home. Post-placement reports were due every six months for the first three years at home, and then annually until the child’s 18th birthday. During the process, the families were permitted to adopt more than one child, either siblings or unrelated children. However, between 1999–2012, changes were happening in the intercountry adoption community. In 1993 the Hague Convention on the Protection of Children and Co-operation in Respect of Intercounty Adoption took place, and in 1994 the United States signed the convention, along with several other countries. Kazakhstan became a Hague signatory in May 2012, with the intention of streamlining the adoption process and approving a few U.S. accredited adoption service providers (ASPs) to operate and process adoptions from Kazakhstan to the United States. Less than three months later, that changed. On August 9th, 2012, the Ministry of Foreign Affairs of Kazakhstan informed the U.S. Embassy, in Astana, that Kazakhstan was suspending all intercountry adoptions to the United States, effective immediately. Upon further discussions, Kazakhstan clarified the suspension was for future referrals and would not affect Kazakhstan’s commitment to vet, process, and authorize U.S. adoption service providers. Though the U.S. Embassy in Kazakhstan currently lists intercountry adoption as open, no intercountry adoptions have taken place between Kazakhstan and the United States in the last eight years. Did you adopt from Kazakhstan? How was the experience?